DT member Tracy posted this layout to our flickr gallery for this week's summer actitivy layout challenge and I had to share it with you in more detail here. "A summer memory for me is eating ice cream on holidays. There is an amazing ice cream store 40 minutes from my aunt's house. 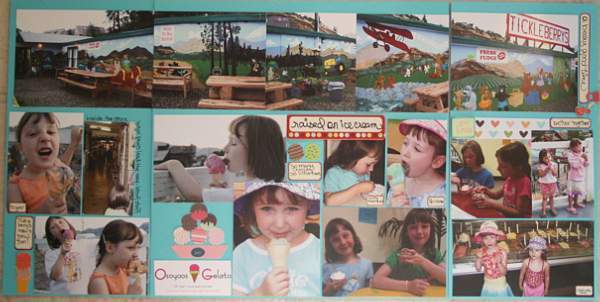 There are also various ice cream, and now gelato, places in her town. So these are some pictures from the past few years. 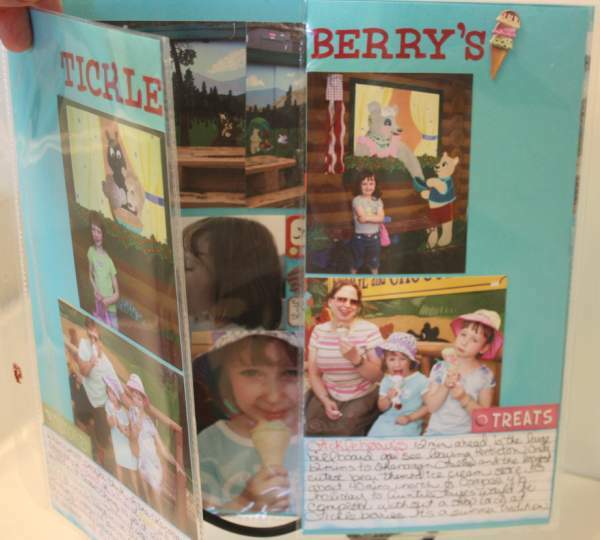 I used a swinging page protector which is a 12x12 page with a 6x12 on each side. So the inside is 12x24. I choose this page protector because I had taken some pictures of the outside of this very long building and wanted them to all go side by side. They aren't the perfect pictures since they don't line up, but to our family they take us right there. 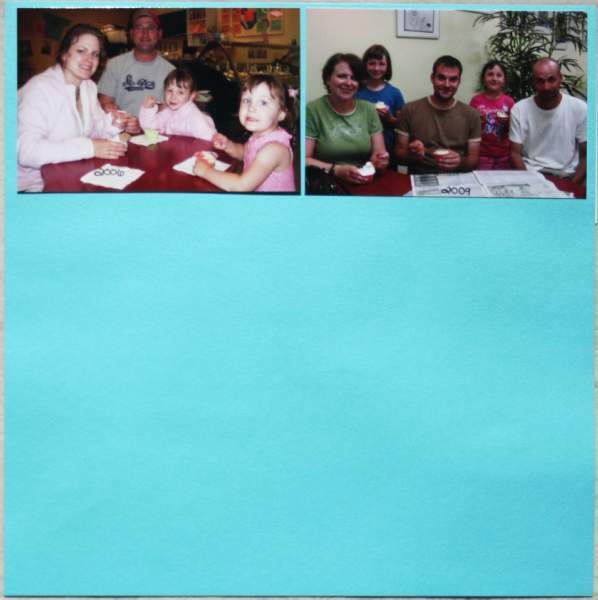 I only put two pictures on the back and will keep working on this page by adding more group shots over the years." 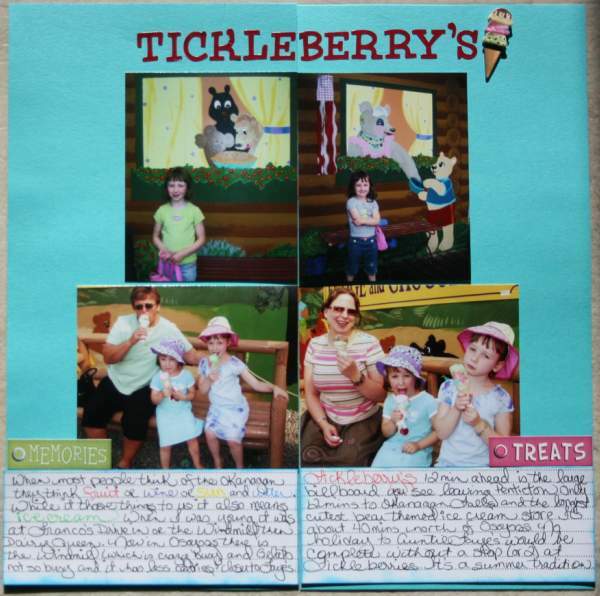 Thanks for sharing this great idea and layout Tracy!